A business may be liable if their employees cause a false arrest or detain someone illegally. An experienced false arrest lawyer from our firm can help you pursue a false arrest lawsuit if you have been the victim of a false arrest or false imprisonment. In this video, Page Pate explains how we can help someone who has been falsely arrested or detained. A false arrest lawyer can help protect your rights. Businesses and individuals may be liable for false arrests, false imprisonment and malicious prosecution if their actions were intentionally wrongful or negligent and led to an arrest or detention. In fact, most of our false arrest cases involve private businesses whose employees over-reacted to a situation, or simply failed to follow proper policies, when reporting what they believed to be a crime to law enforcement. In Georgia, a false arrest or imprisonment occurs when someone is arrested or detained without legal justification. A good example of a false arrest and imprisonment case is when someone is falsely accused of shoplifting by a store’s employees or security guards and then detained until the police come to make an arrest. 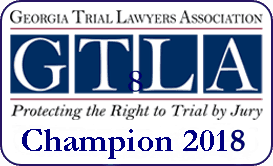 Georgia law gives someone who is falsely arrested or imprisoned the legal right to take action against those that caused the false arrest or detention, including the employees who wrongfully detained the person, and the company that employed them. A good false arrest lawyer can hold the business and its employees responsible even if the person who was arrested or detained did not suffer a physical injury. Georgia law allows a lawsuit for damage to a person’s reputation from being falsely accused of a crime, as well as the mental and emotional trauma caused by a false arrest. A false arrest or false imprisonment lawsuit will be filed against the business and its employees who caused the false arrest and/or imprisonment. When a false arrest is the result of a police officer’s violation of someone’s constitutional rights, however, then a false arrest lawyer will file a Section 1983 lawsuit to pursue the officer and anyone else involved. If you or someone you know has been the victim of a false arrest or illegal detention, you should discuss the incident with a qualified false arrest lawyer. 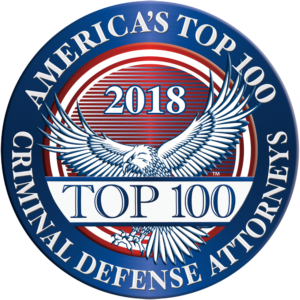 Our lawyers have decades of experience defending people who were falsely accused of a crime, in both criminal and civil cases in courts across Georgia and in many other states. It is critically important that you act fast to protect your rights if you have been falsely arrested or detained. Georgia law places strict limits on when a false arrest or false imprisonment lawsuit must be filed. Call us now for a free and confidential consultation. We will let you know if we think you have a good case.